It is not unusual for judokas to cross train or compete in other martial arts. Olympic judo silver medalist Jason Morris was an All American wrestler at Syracuse University before he achieved judo greatness. Judo Olympians Dr. Rhadi Ferguson and Travis Stevens are Brazilian Jiu Jitsu black belts respectively. The 2017 FUJI BJJ Missouri State Jiu-Jitsu Championships got underway on February 18, 2017 at Saint Charles West High School in Saint Charles, Missouri. Manareldeen Fajor was the lone representative for Team White Dragon with Demonn Smith as coach. The young judoka displayed a masterful takedown game which was too much for his opponent. Despite a late rally in the gold medal match, Fajor stayed focused and won his second consecutive BJJ Missouri State Jiu jitsu championship in the lightweight gi division. Other judo notables who represented their BJJ dojos were Bobbie Jo Ridenhour who practices BJJ for Gracie Humaita Saint Louis (JW Wright). She won silver in her category. 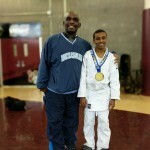 Dennis Williams is a blue belt in BJJ under Gracie Humaita Saint Louis. He currently cross trains in Judo under Demonn Smith. He dominated his weight class to win gold. Former visually impaired judo national champion Adnan Gutic trains in BJJ under Bryan Guidry at North Broadway Jiu jitsu. 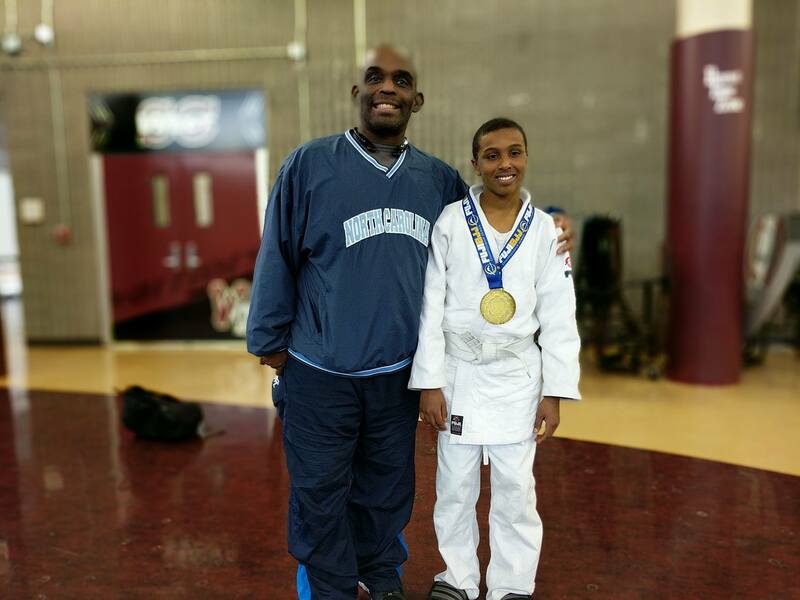 Adnan took on a talent heavy division and made it look easy on his way to a gold medal in his division. The 2017 Midwest Collegiate Judo Championships got underway on February 11, 2017 at the Savoy Recreation Center in Savoy, Illinois. Derick Wellman officiated the tournament. Team White Dragon was led by the legendary Randy Pierce. In the team competition, Team Missouri which comprised of members of White Dragon Judo Club was eliminated in the first round. Ryan Morrow made his return to judo competition after a long lay off. Ryan shook the rust off and earned a silver medal in his bracket. Derek Clardy made his tournament debut in spectacular fashion executing koshi guruma to win his first match. The rising star displayed strong superior athleticism on his way to a bronze medal. Taylor Brown won bronze in the female lightweight division. Philip Vojta went 4-1 overwhelming his opposition with superior skill. He won silver. Byron Helmrich took silver in the lightweight advanced category. Elder statesman Demonn Smith showed that he still got it taking silver in the veterans division. Jay Baker dominated the middleweight class for gold. The MVP honors goes out to Tsengee Erdenebayer. TJ went undefeated in his division winning gold by osaekomi. 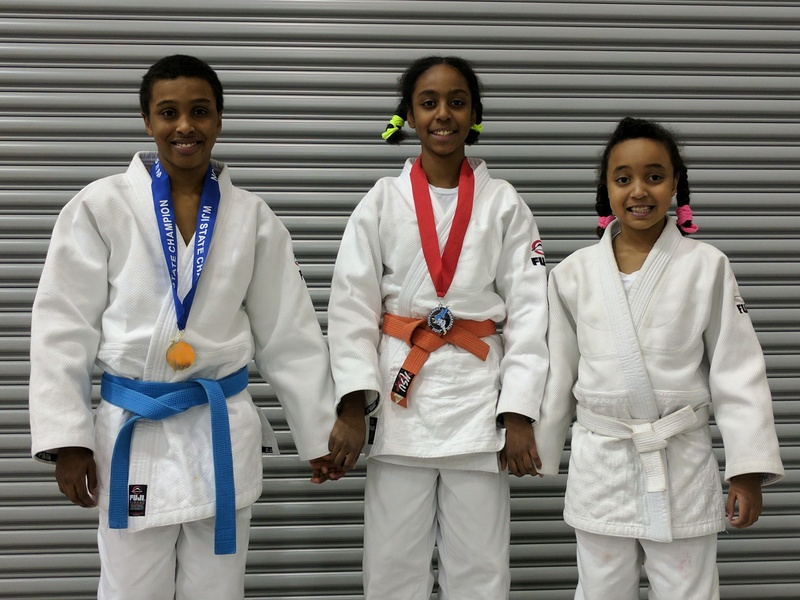 The 2017 Wahadachi and WJI (Wisconsin) State Judo Championships took place at the Milwaukee Lutheran High School in Milwaukee, Wisconsin on January 29, 2017. Team White Dragon consisted of the Fajors trio of Manareldeen, Saba and Dina Fajors. In the junior novice division, Dina Fajors show significant progress against tough opposition. The rookie showed great resilience on the ground as she escaped a number of pins. Dina continued to be persistent earning a wazari in second match. 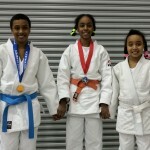 Although she did not medal, the novice judoka is beginning to show a judo maturation unknown to judokas at her level. Saba Fajors went 3-1 on the day. The Warrior Princess took silver in an eventful gold medal match. Brother Manareldeen Fajors was the MVP of the tournament. The young judoka displayed a fast and accurate morote seoinage that made short work of his opposition. 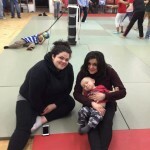 He steamrolled his way to his first Wisconsin State Judo Championship. 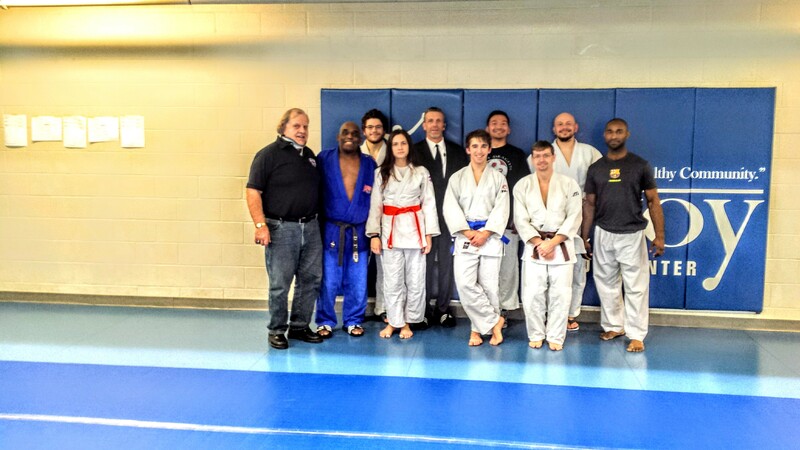 The Annual White Dragon Judo Club Holiday Party was on January 21, 2017. 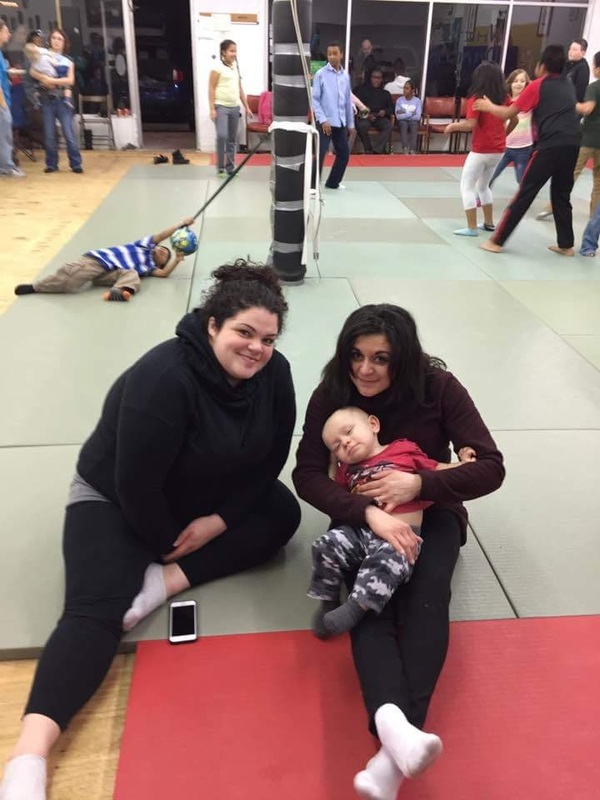 This event was a time for members to get to know each other off the mat. Members brought their families and lots of tasty food and beverages. This celebration was time for the White Dragon family to reflect on how wonderful 2016 was. The junior program made great strides in attendance, medals, and skill. The Friendship Tournament Series help build students confidence and enhance their overall skills. Juniors Cameron Duffield and Manareldeen Fajor dominated their weight classes. Parents were very impressed with quality instruction that their children were receiving. The Adult program increased in membership and also witness the promotion of many deserving judokas. 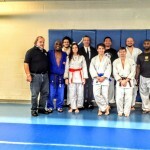 Notably Dan Raney and Anna Feygina were promoted to Nidan, 2nd degree black belt. Jay Baker, The Batman Bat Unur Erdenebayer and Philip Vojta had the most entertaining judo matches of the year. Adnan Gutic had an awesome year scoring gold medals in almost every judo tournament he competed in. Bryan Enlow and Ryan Morrow returned to the mat after a long hiatus and made significant contributions to the judo program. The Gateway Judo Tournament is going strong and is still the largest tournament in the state of Missouri. The judo club sent three members to the 2017 IJF World Veterans Judo Championships. Lastly, Sensei Derick Wellman continues to evolve and set the example in his judo journey. Sensei Derick became a National judo referee in October 2016. The year 2017 has the potential to be AWESOME year as this dojo continues to grow. White Dragon Judo Club would like to take the time to thank the parents, friends, and volunteers who take time out of their busy lives to help this dojo grow. There are so many activities that go on at this dojo. Don’t miss out. Check out the club’s website and two facebook pages. Happy 2017 from White Dragon Judo Club! We will see you on the mat.